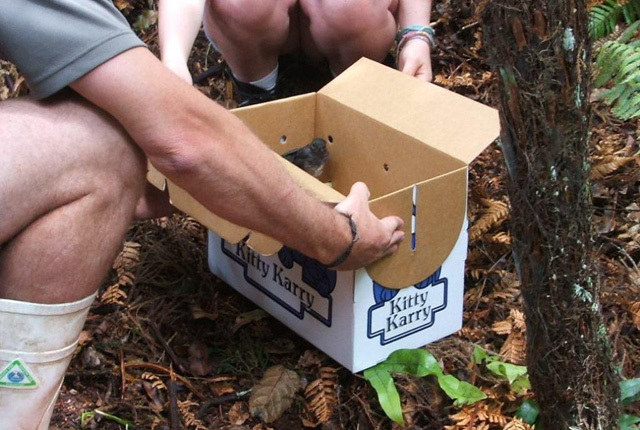 The first Air New Zealand-funded transfer of fledgling Stewart Island robins from Ulva Island to a new home in the Dancing Star Foundation sanctuary has taken place successfully, with the assistance of students from Halfmoon Bay School. 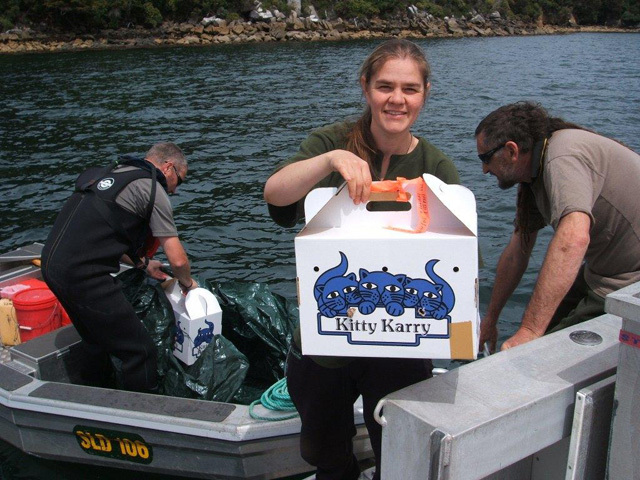 The transfer is the first step in a plan to re-establish a population of robins on Stewart Island around parts of the Rakiura Great Walk. Located near the start of the Great Walk, the Dancing Star site offers an ideal opportunity for this. Its predator-free status will allow the young birds to establish a breeding population within this fenced ‘mainland island’. Establishing a new breeding population of Stewart Island robins forms part of a much wider biodiversity project resulting from an exciting new conservation partnership between DOC and Air New Zealand. The project aims to enrich biodiversity and enhance visitor experiences around New Zealand’s Great Walks, with plans also in place for the Routeburn, Milford and Lake Waikaremoana tracks. 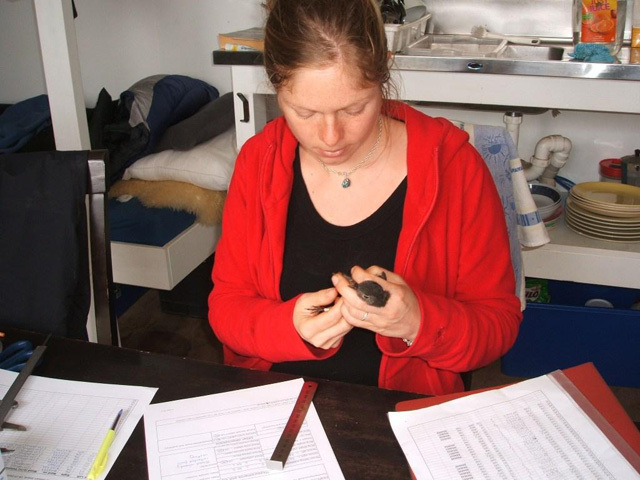 The recent capture of robins on Ulva Island was undertaken by DOC staff and members of a University of Otago research team. 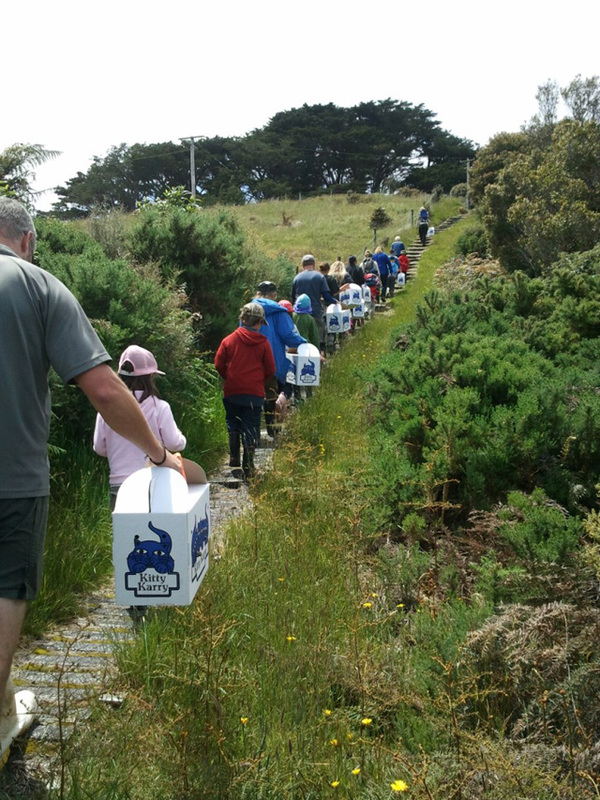 After being measured and weighed the fledglings were placed in boxes in preparation for their journey, initially by boat, to their new location.The Halfmoon Bay School children’s role in the transfer was to assist with the release of the robins. After meeting the boat, the children accompanied the birds, in their boxes, into an area of dense bush inside the Dancing Star sanctuary. 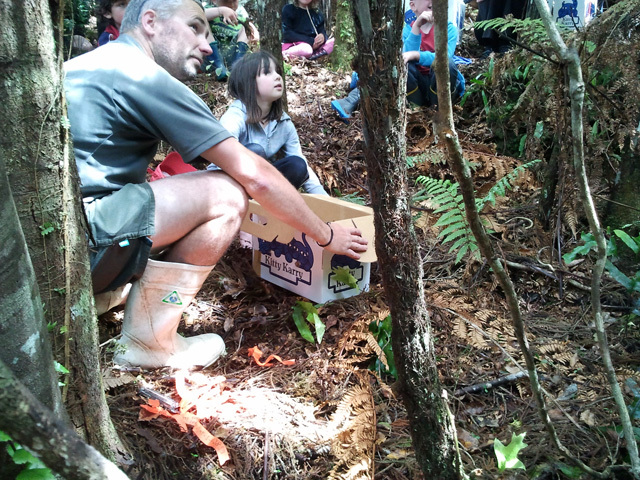 A mihi was performed to welcome the robins to their new home, after which, one by one, boxes were opened by the children and the birds were offered their freedom. It was such a buzz, they’re still talking about it. One child said, “I didn’t think it was going to let go of the perch”. Another: “I got a fright when it took off”, and another said it was “really cool”. Several thought it was pretty funny taking the birds in cat carrying boxes! As their population establishes and increases, future generations of robins are expected to ‘spill over’ and establish in territories outside the predator-fenced sanctuary. Over time, walkers on the Rakiura Track will be able to see and hear robins. 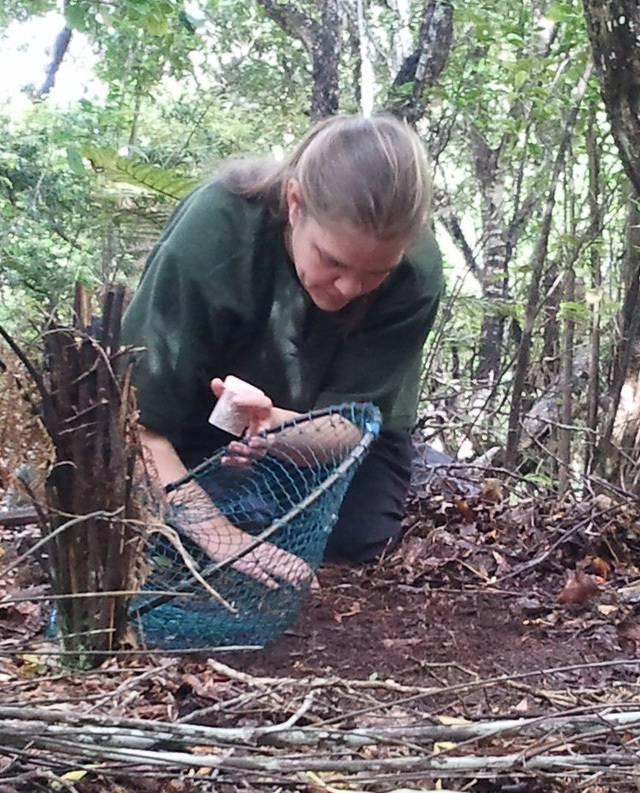 A trapping programme to manage predators around the Rakiura track is part of the Air New Zealand Great Walk biodiversity project. The project also includes plans to increase the kiwi population and work on the restoration of significant dunes adjacent to the Great Walk.